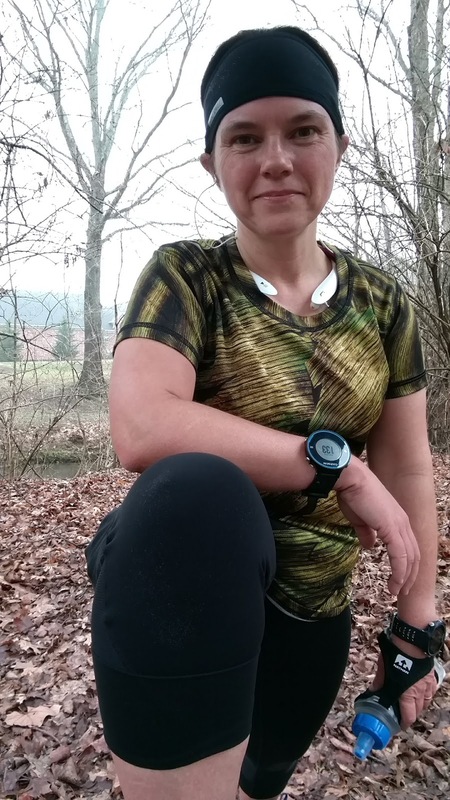 Early in this training cycle, I hurt my right leg and had to take a few days off running. Since then, I've had niggling issues here and there, including strengthening and babying my right leg, but nothing major. Hopefully, nothing major this time, but I did end up only running 3 days this week. Looking over the steeplechase course. 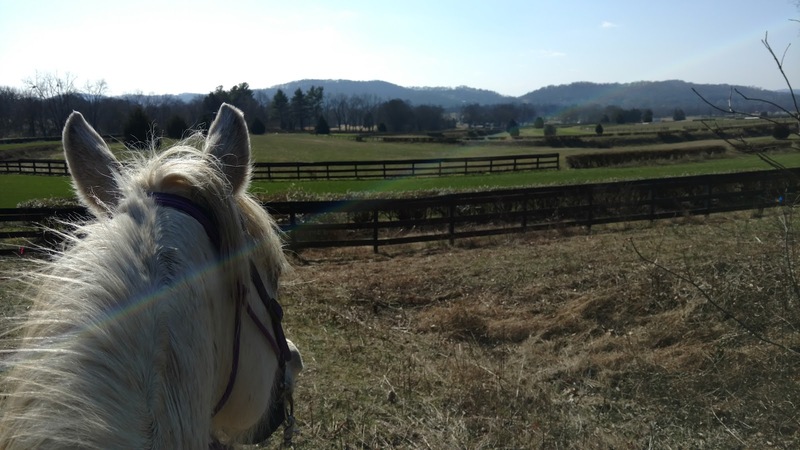 I went to Percy Warner Park and rode Sasha! She was great, only a couple bucking fits to express her annoyance at me not letting her run pel mel the entire time. We had the trails to ourselves during our first loop. 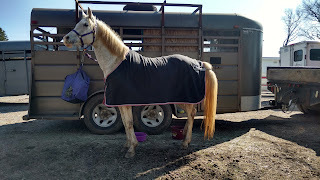 We went back to the trailer for a few minutes and then went out and did the loop in the opposite direction. Sasha was a firecracker and a lot of fun to ride. 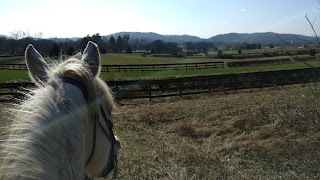 We got some good gallops in, especially the first loop when no other horses were on trail. A world of good for her and me! 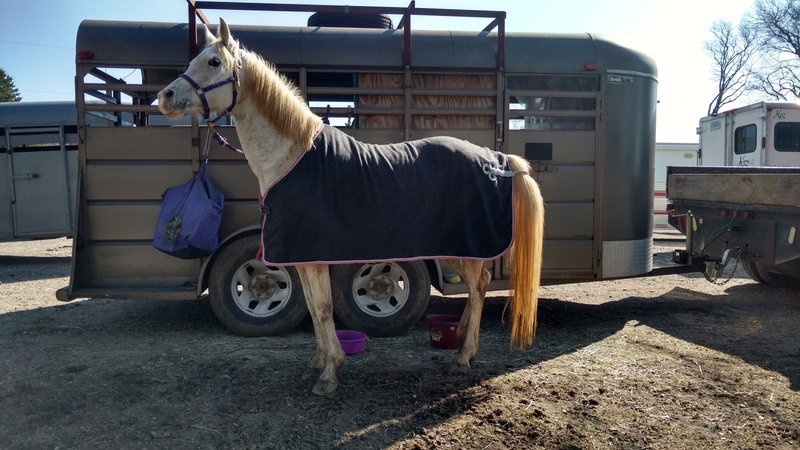 Sasha after our ride. Still very animated; not at all tired. 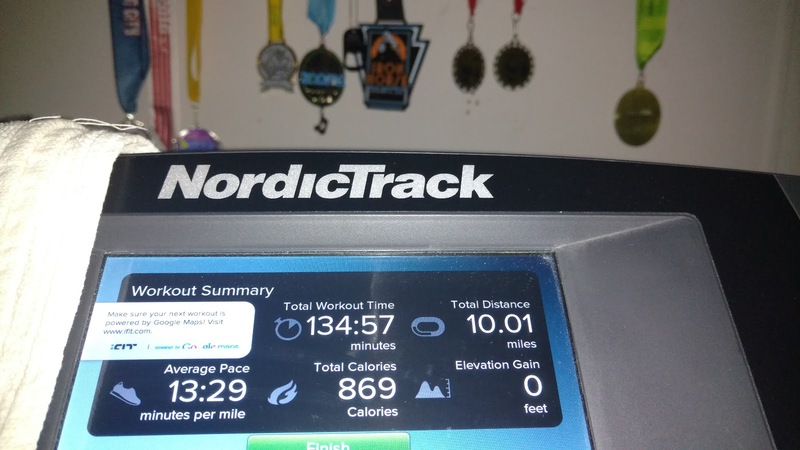 I got up super early and banged out the miles on the treadmill before heading to work. I did my iFit workout with each mile consisting of a flat 1/4 mile, faster downhill 1/2 mile and final 1/4 mile walking uphill. It was kinda hard to do the 10:00/mi downhills for the first 3 or 4 miles until I finally actually woke up. I was happy I didn't fall off the treadmill! I had no breakfast before my run. I took a gel during my warm-up, then 2 shot bloks at 3, 6 and 8 miles. I followed my run with a chocolate strawberry protein shake (real strawberries). Worked out ok, but not something I want to do all the time. No issues during this run or after. Just an easy run on the treadmill. 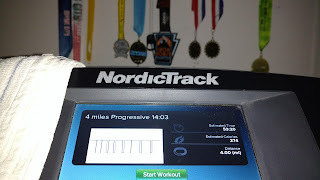 I did the ease-into workout where I start at 1/4 mile jog, short walk and then extend the intervals by 10% each time. I actually had sore legs after this workout! That was very odd. Generally these workouts are harder on my brain during the workout than they are on my body. I wore cotton underwear during this run. I was too lazy to change into running underwear. Fortunately no rubs, but ugh, very uncomfortable! 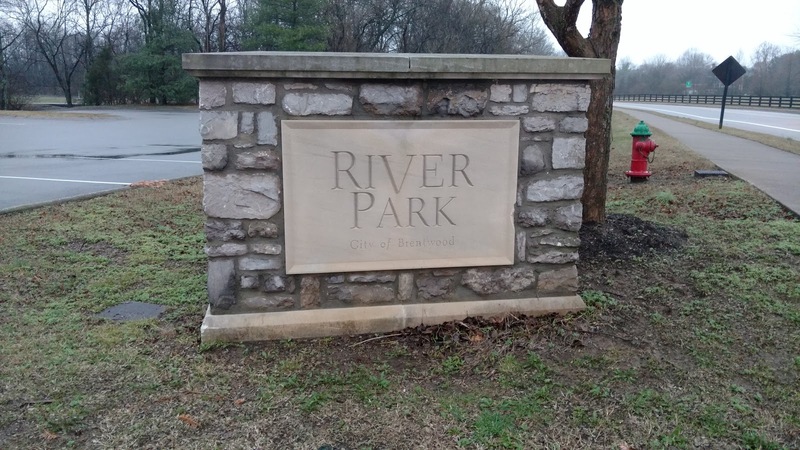 I went to River Park to run my tempo run. I decided to run the exact same route I ran last week. 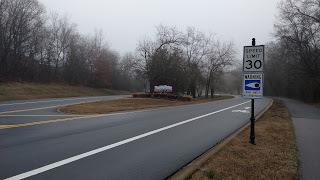 Down to Smith Park, back up Raintree Parkway and into the back of Crockett Park. It's a very nice run with bathrooms/water positioned at mile ~2.5, 4.5 and 10. Only one major road crossing at Raintree Parkway and Crockett Road and that's a 4-way stop, so it's pretty easy to pay attention and get across the street safely. It was absolutely wonderful running weather for me. Overcast, 55° and a very light breeze. 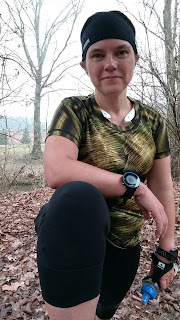 I wore my Althleta Relay 2.0 capris and my inknburn shady shirt. I got the shirt on a rare sale. When it first came out, I didn't really like the pictures, so I didn't buy one. But when they put it on 1/2 price, I decided it was worth $25. Well, I have to say, I really like this shirt! It's not as pop-y, vibrant as my rose shirt, but it's very calming and flattering. I was fairly comfortable for the entire run. The capris were a tad hot, but shorts would not have been enough coverage for me on this run. I like to be warm. I didn't get to listen to any podcasts on this run. I didn't have any new ones so I just listened to music. I started out the run too fast. 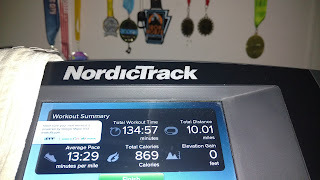 I tried to rein it in, but my first mile was 15 seconds too fast. I did a little better the 2nd mile (still too fast), but my 3rd mile was 30 seconds too fast! Well, you see where this is going. I only had 2 miles out of 11 that were at/near my target pace of 12:36/mi! Every other mile was too fast. I stopped at Smith Park and Crocket Park for bathroom/water breaks. 5 minutes 34 seconds of stopped time during my 2 breaks. I fueled well for this run. Last week I screwed up my fuel, but not this time. I had a gel during the first mile, then every 33 minutes after that I ate 2 shot bloks or another gel. I need to be very consistent with my fueling during the marathon; it definitely makes a difference. My last mile I ran in 11 minutes 12 seconds. I struggled to try to keep my pace under control. This was the last mile and flat, so I should have done it. But I finally abandoned all pretense of control and flat out ran the last 1/4 mile. It was so much fun!! I was flying (for me) and having a blast doing it. But...yeah, there's a but. After I got done and cooled down, I began to have acute pain in a tendon in my left ankle when making certain movements during walking. This pain repeated itself often, so I decided to rest and treat the ankle. So my fun tempo run was my last run of the week.